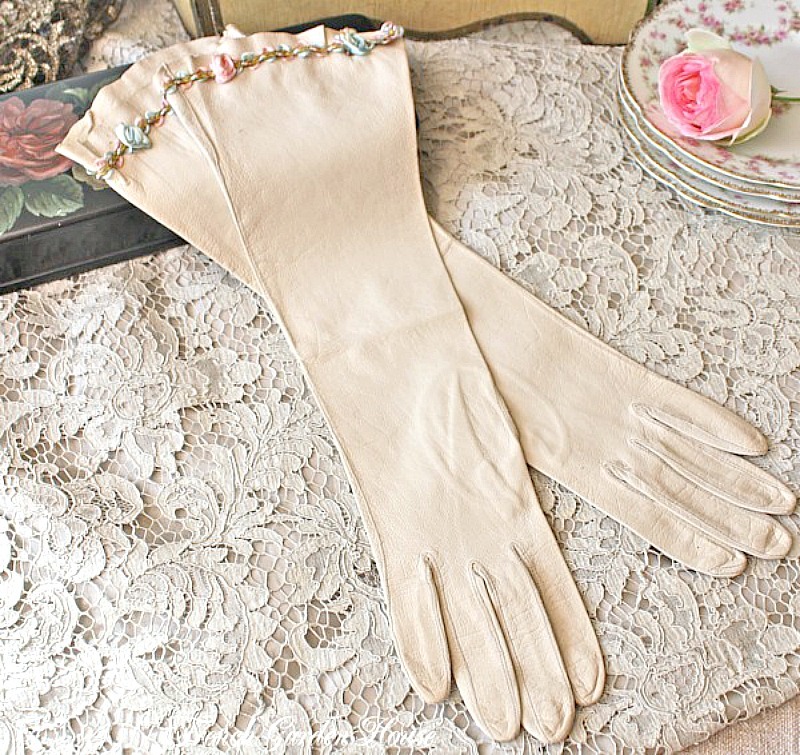 Possibly the most beautiful antique gloves I have ever found, these are the thinnest and most luxurious Cream Kidskin Leather. Oh. my. 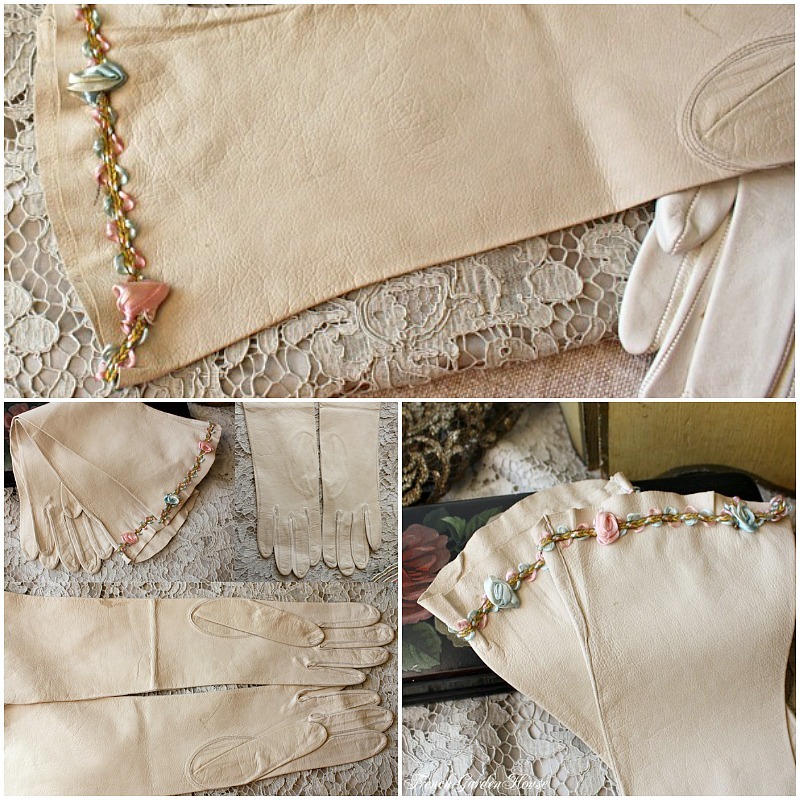 Collectable long elbow length of 15", trimmed in the most delicious French Ribbonwork Rosette trim in palest Pink and light Blue. These have been loved and well kept by a collector. Worn a few times, in good condition. There are a few spots, as shown, most likely from spilled champagne which over the years has turned a darker color. But honestly, these are so extremely rare to find. Display in your boudoir with your mannequins, millinery and purse collections. Measure: 15" long, 3" across knuckle area. Feminine, romantic, and luxury all in one.